The Princeton Review included The University of Scranton’s Kania School of Management among the nation’s most elite business schools in the 2019 edition of the “Best Business Schools” guidebook, published online in November. The Princeton Review listed The University of Scranton’s Kania School of Management among the nation’s “Best Business Schools” for 2019, marking the 14th consecutive year that Scranton has been included in the listing of just 252 of the nation’s most elite business colleges. Scranton was included among the list of “Best On-Campus MBA Programs,” which was published online in November. 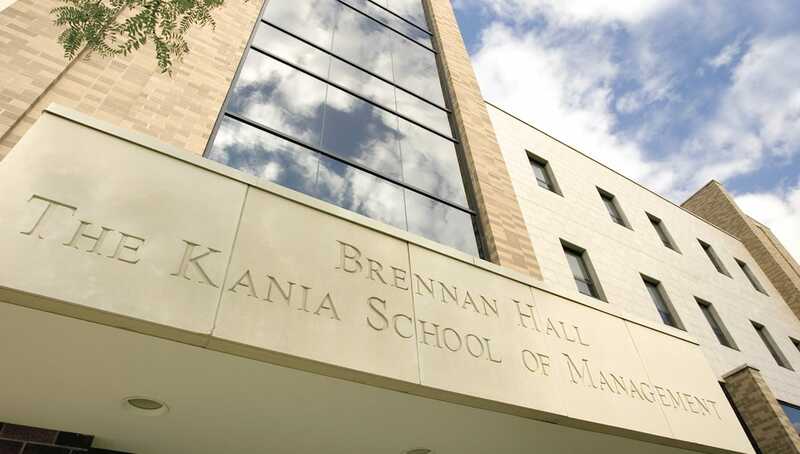 The University’s Kania School of Management is accredited by the Association to Advance Collegiate Schools of Business (AACSB), which is widely considered the standard of excellence for business schools. Less than five percent of business colleges worldwide hold AACSB accreditation. In other national rankings, U.S. News and World Report included Scranton in a national ranking of the “Best Undergraduate Business Programs” (No. 199) and ranked Scranton’s entrepreneurship program at No. 31, its finance program at No. 36 and its accounting program at No. 37 in the country. In the overall ranking for colleges, U.S. News ranked Scranton No. 6 among the “Best Regional Universities in the North,” marking the 25th consecutive year that Scranton ranked in the top 10 of its category.